How much is Aidy Bryant Worth? Aidy Bryant net worth: Aidy Bryant is an American actress and comedian who has a net worth of $4 million. 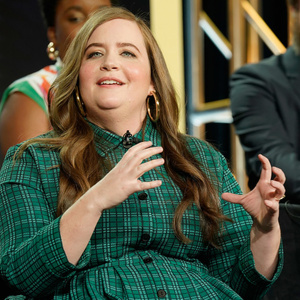 Aidy Bryant was born in Phoenix, Arizona in May 1987. She is best known for being a cast member on the television series Saturday Night Live since 2012. Bryant has also had recurring roles on the TV series Shrink as Kendra Harnz from 2012 to 2014, Girls as Abigail from 2015 to 2017, Horace and Pete as Alice in 2016, Danger & Eggs and D.D. Danger in 2017, and Shrill as Annie in 2019. Aidy Bryant has appeared in the movies The Amazing Spider-Man 2, Brother Nature, The Big Sick, and I Feel pretty. She has also appeared in episodes of the TV series Comedy Bang! Bang!, The Greatest Even tin Television History, Broad City, Documentary Now!, The Awesomes, At Home with Amy Sedaris, Portlandia, and Unbreakable Kimmy Schmidt. Bryant was nominated for Primetime Emmy Awards for Outstanding Supporting Actress in a Comedy Series in 2018 and Outstanding Original Music and Lyrics in 2014 for Saturday Night Live. Saturday Night Live Salary: There are 21 episodes in a season. First-year cast members make $7,000 per episode, or $147,000 per season. Second-year cast members make $8,000 per episode, or $168,000 per season. If a cast member makes it to their fifth season, they make $15,000 per episode, or $315,000 per season. The highest salary that can be reached at SNL is for people who've been there the longest or are the most important to the show. They make $25,000 per episode, or $525,000 per year. It is likely that Aidy Bryant's salary is on the middle to higher end of that spectrum.